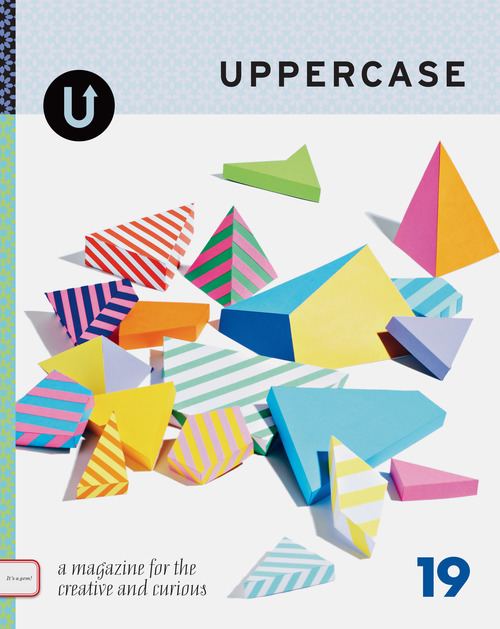 This issue of Uppercase Magazine called for all “scavengers” to share their best scrappy crafts. 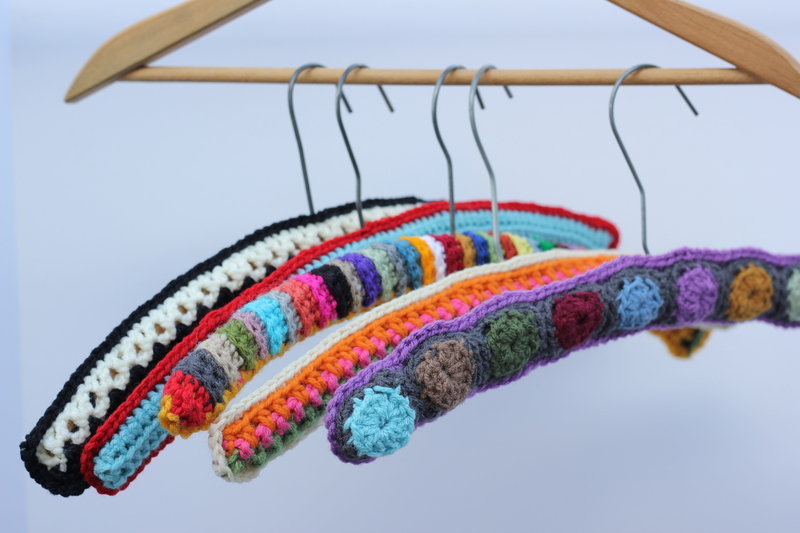 I was immediately inspired to share my crocheted hanger covers lovingly dubbed “Auntie Hangers.” My essay explains how my great-aunt, Helen, gave me the unexpected gift of my first hangers and since then I enjoy making them and giving them as gifts, myself. It’s always an honor to be included in this lovely publication! 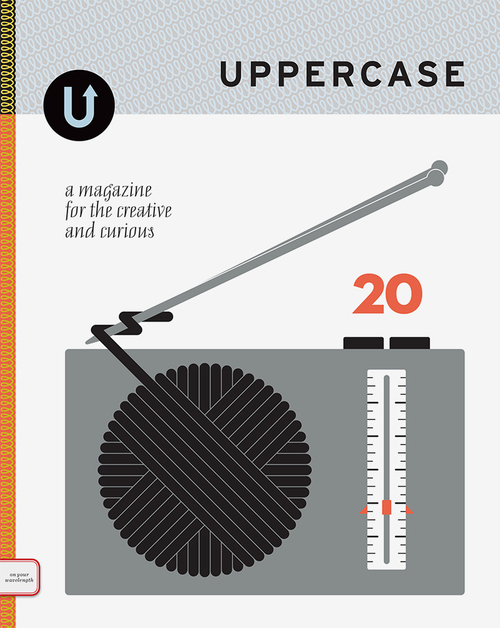 This issue of Uppercase Magazine called for reader participation for their “color issue” with the prompt…. “What Colour Means to Me….” I was inspired to write about learning to crochet as a young girl, and my life-long affection for the colors of yarn I used back then. I dug through my stash to find some skeins of yarn from yesteryear. My short essay and photograph are on page 80. 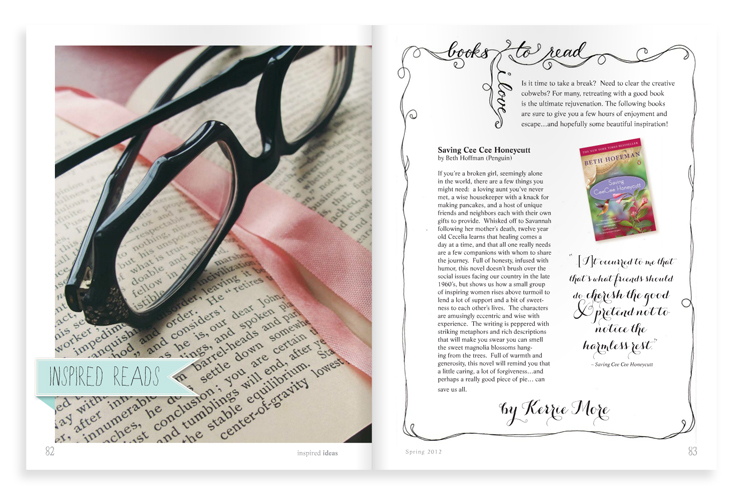 Thank you Uppercase for publishing my piece! 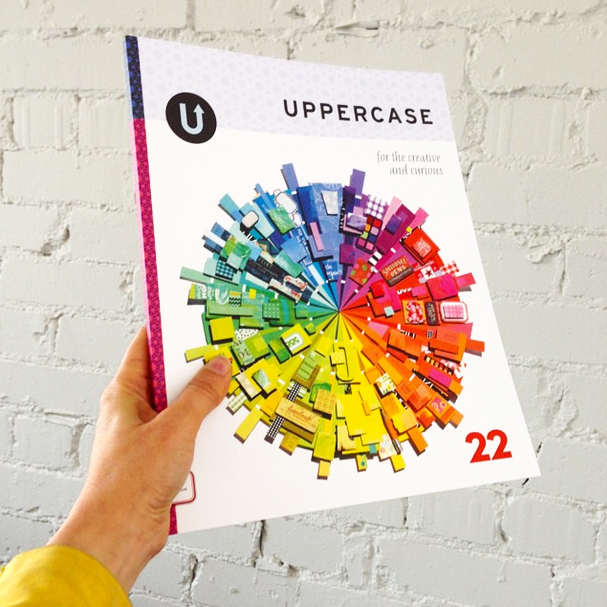 Uppercase called for reader participation by challenging us to share our love of sewing notions and haberdashery through photography, illustration or poetry. I decided to combine my love of writing with my amazing button collection (courtesy of my dear grandmother!) I titled this photo: “The Write Notion.” I was proud to have my photograph published in this recent issue! The call for submissions was for: Letterforms or Alphabets using office supplies…… So, I got out my camera, my three vintage staplers and had a photo-shoot in my back yard. See my blog post about this fun challenge. 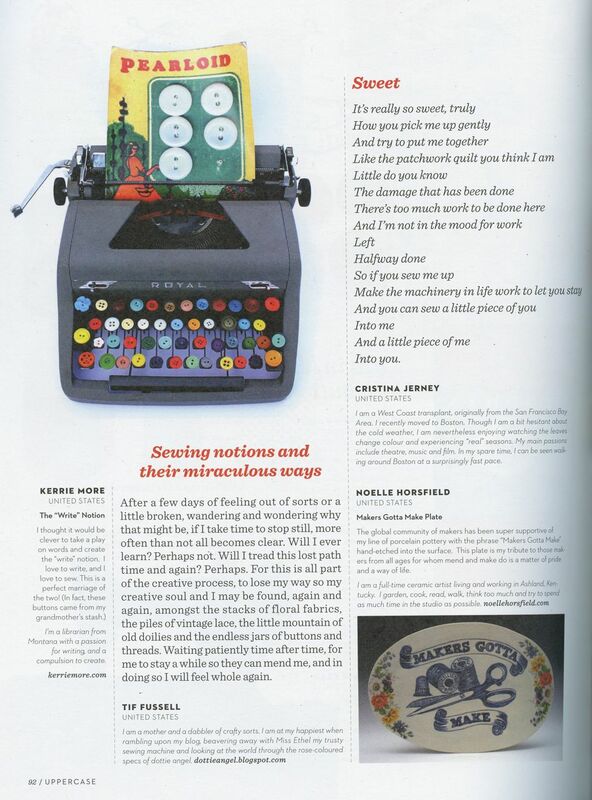 I’m thrilled to be published in the recent issue of UPPERCASE Magazine as part of their “Handsome Ransom” project featuring works of art in a ransom-note style. I cut, pasted, and played with words until I came up with a “masterpiece.” Apparently, the editors of the magazine liked it, as they printed it along with several other amazing creations. I feel lucky and honored to be featured in this publication, which I feel to be one of the best showcases of eclectic artistic talent. Check it out! 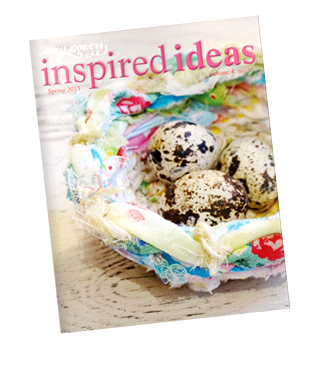 It was such much fun to collaborate with Amy Powers for another issue of Inspired Ideas. This online magazine just keeps getting better and better! I edited this issue and contributed several book reviews. 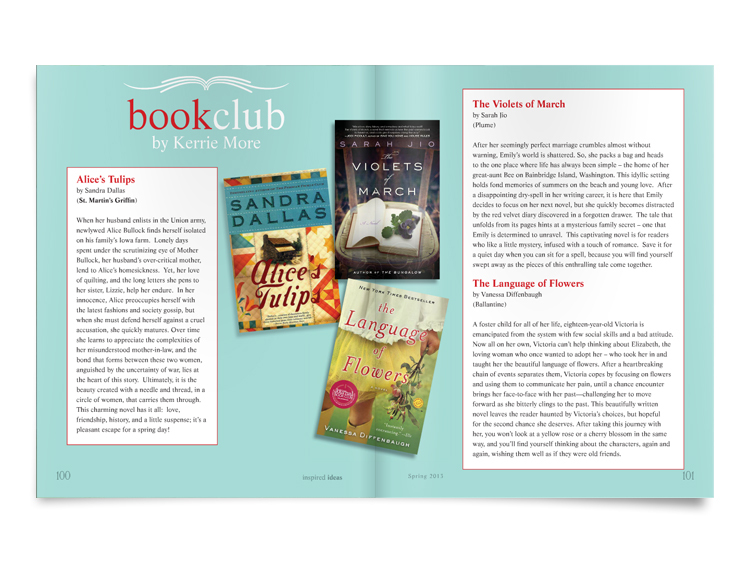 My collaboration with Amy Powers for her spring issue was so positive that she asked me to contribute reviews for her holiday issue – as well as serve as the editor for the issue. I helped her with nit-picky grammar stuff and had an eagle-eye out for typos, etc. I just love the way the issue came together, and I was honored to be a part of it! 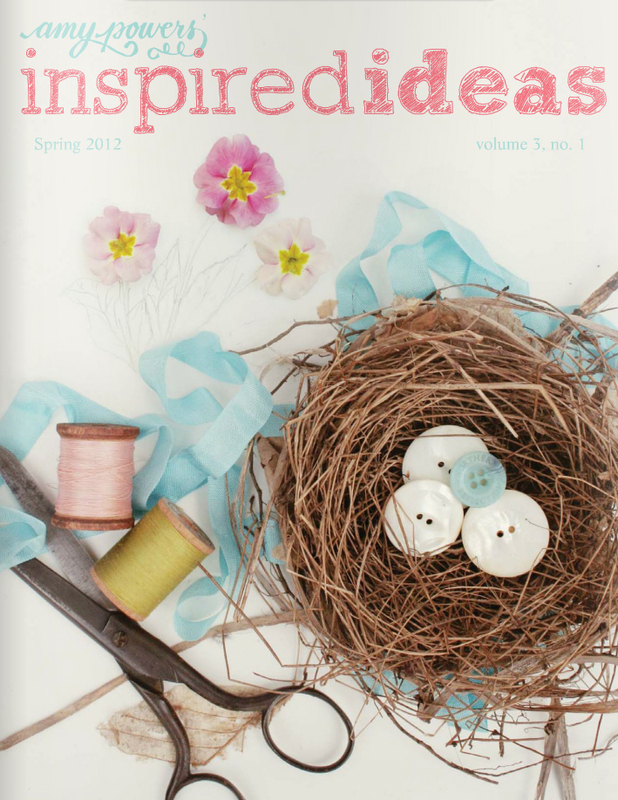 I am thrilled to have some book reviews published in the spring issue of Amy Powers’ Inspired Ideas online magazine. 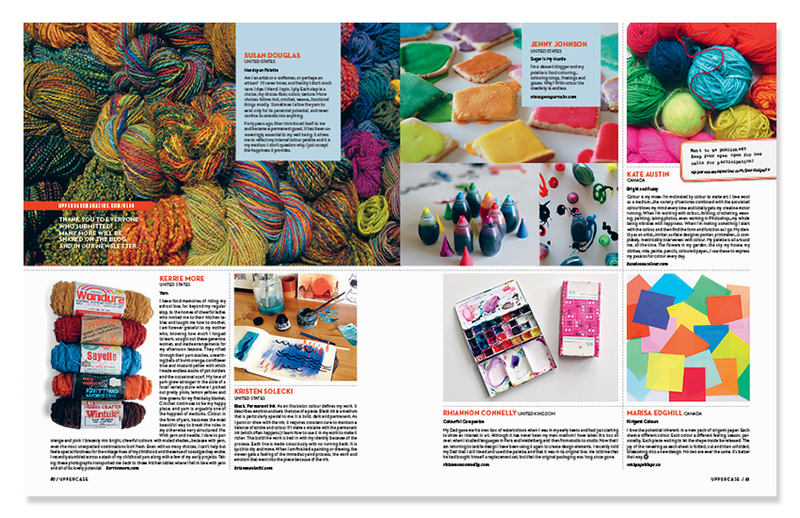 I was lucky enough to meet Amy at The Creative Connection (by Jo Packham) last fall, and she was kind enough to ask me to contribute to this issue. I had so much fun writing the reviews, working with Amy, and using my English degree to help her edit and proofread some of the articles. She is a class-act and one talented designer and artist!